The Lincoln penny has become an American icon after it was first minted in 1909 to celebrate the 100th anniversary of Lincoln’s birth. The introduction of the Lincoln penny marked a significant change in the imagery on American currency when Lincoln became the first President to have his image immortalized on a coin. To be honored in such a way is especially ironic in light of how public perception of Lincoln transformed from being a fairly controversial and even unpopular public figure during his lifetime, to a celebrated American hero by the turn of the twentieth century. The Indian Head penny was minted between 1859-1909. The image is of Lady Liberty wearing an Indian headdress. smaller (the size that it is today) and made of a combination of both copper and zinc. 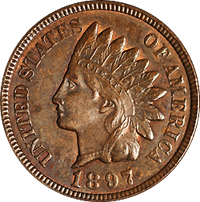 By that time, the penny displaying lady liberty wearing an Indian headdress – the image has often been mistaken for an Indian Chief – had been in circulation since 1859. The length of time the coin with this image had been in circulation created some added controversy to the decision to change it and create the Lincoln penny. 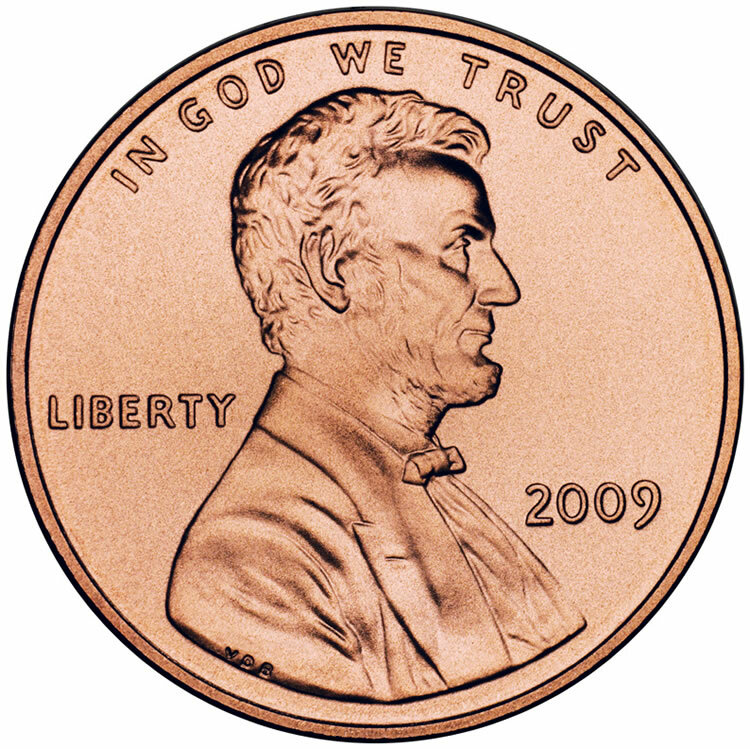 The decision to create the Lincoln penny was controversial in multiple ways; one was because of the long history of having Lady Liberty on the coin and of how emblematic her image was of the American spirit and ideal of freedom; but the primary reason for dispute was due to the longstanding tradition of never putting a President’s image on a coin. George Washington had initially been offered the honor of having his face on a coin; however, it refused because it was too reminiscent of the custom for European monarchs to venerate themselves through putting their likeness on coins. Like Washington’s decision not to run for more than two terms in office, this had become an unspoken tradition in America and deciding to put a president’s face on a coin after over a century of refraining from doing so was considered taboo. The 3rd Philadelphia Mint, built in 1901. This mint alone produced 22 million Lincoln pennies in 1909. The person responsible for authorizing the creation of the Lincoln penny was President Theodore Roosevelt. For years, Roosevelt had believed that the art on American coins was bland and uninspiring, particularly in comparison with their European counterparts. Favoring classically influenced sculpture and art, Roosevelt initially commissioned the sculptor Augustus Saint-Gaudens to redesign all American coins, but Saint-Gaudens died before he could finish his work. Then, enamored with a portrait plaque of Lincoln created by Victor David Brenner in 1907, Franklin commissioned the artist to create the Lincoln penny in time for the 100th anniversary of Lincoln’s birth in 1909. Brenner used virtually the same design for the penny that he had on the plaque, which had been based on a photograph of the President taken by Anthony Berger in 1864 (which is why the image on this coin is facing in the opposite direction from all of the others). The Lincoln penny was supposed to simply be a commemorative penny, only produced for that year, but the popularity of the coin among the American public was such that the design remained in production and has not changed to this day. By this time, enough years had gone by since America won its independence that old customs of European monarchs no longer mattered as much and this concern did not register with the American public. It also helped that the mints have kept the integrity of the tradition, which is that no living president be memorialized on a coin. It has since become a federal law that a president must be dead at least two years before he is eligible to be put on a coin. Lincoln’s popularity since the twentieth century is also evidence of processual memory. During Lincoln’s lifetime, he was a fairly unpopular figure because of the high political tensions the nation was caught in. Opinions about him had formed along both racial and regional lines and there were even disagreements within his own party – some opposed his decision to end slavery while others thought he was too slow to act. Part of the reason for the extreme reversal in popularity between his life and the turn of the twentieth century is due to the manner of his death. Abraham Lincoln’s assassination made him a martyr for both the Union and the end of slavery. People came together in both shock and mourning and a much more positive image of Lincoln was nurtured in public memory. Today, retrospective nominalization and the civil rights movement allows us to see Abraham Lincoln more clearly and honestly. He is not the unpopular or controversial figure that we was during this lifetime, nor does the public blindly idolize him the way they did a century ago – civil rights heroes like Martin Luther King, Jr. and a growing awareness of Lincoln’s true political stance has allowed us to apply a present understanding to him. He remains and iconic image to this day, and whether he was forced into the role or not, Lincoln is still responsible for keeping the Union together and putting an end to slavery. 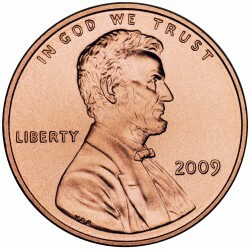 This is evident in the current situation with the penny – inflation has made it so that the coin costs more to make than it is worth, yet Americans are still reticent to get rid of the penny because of Abraham Lincoln’s image on it (see the attached link for more information on that debate). This entry was posted in Uncategorized on April 16, 2015 by Courtney Waite. I’ve never really thought about the origination of putting presidents’ faces on coins, and I find it very interesting that Lincoln was the first president to have his face put on American currency. Your research on this topic is very extensive, which is a great thing! It is fascinating to read about the history of the penny, because today they are left in places as if they are worthless (which they essentially are). It is obvious that the penny is a direct form of memory for Lincoln- everyone knows who is on the one cent coin and what he did. This description of its history is well written and thorough. Your hyperlinks also relate well to what you are discussing. Overall, this is a very good connection between memory and the penny!